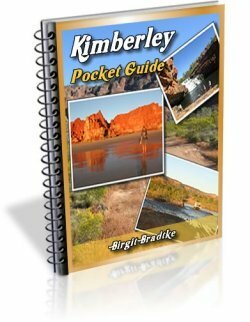 We plan to travel into the Kimberley at the beginning of November for 11 days. I'd like to know if the Mitchell Falls are worth it, about the level of the water, and if the Falls are still impressive at this season? Is there lots of rain in this season? Another question about the Kalumburu mission, are there many art sites to visit? Comments for Is Mitchell Falls at the beginning of November worth it ? Ti, I'm sorry but no, I would not recommend a visit to the Mitchell Plateau in November. I'm not even sure it would still be open. There won't be much water coming down the falls. If there will be rain or not is unpredictable. You may very well get caught out by storms. But most of all it will be stinking, stinking hot and humid. Too hot to move, too hot to think, and certainly too hot to sleep in a tent or in the car. 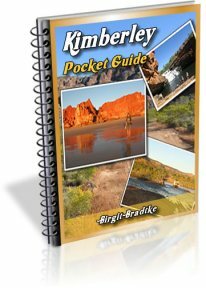 I would not recommend a visit to the Kimberley at all in November. If you say that the Mitchell Falls are a no go in November, how about early October? It is the only time we can go and will most likely not be up there again, but if it is a waste of time we can spend more time elsewhere. 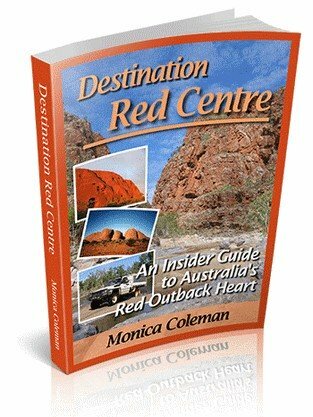 We went to Kakadu in October 2007 and Cape York in October 2009 and managed the heat ok, how does it compare? The conditions should be about comparable. 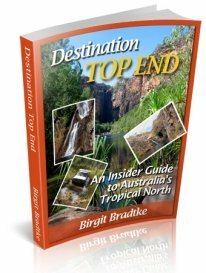 There won't be any falls worth mentioning, but it's an aweinspiring region regardless. If my choice was to go in early October or not at all I'd go.